The National Churches Trust made a grant of £20,000 towards St Michael and All Angels’ Restoration Fund. This impressive sum of money ensured that the first stage of our three-part, five-year plan to restore the building was completed in 2013. As a part of the package given to us by the Trust they ask us to seek out at least five new members for their ‘Friends of the National Churches Trust’. Membership costs £30.00 per annum and they ask that each of the five members that need not necessarily come from our Church, remain members for at least three years. The benefits of being a member include receiving an annual publication; special offers and a newsletter that updates members about the Trust’s work with Churches. The trust is an independent charity relying solely on voluntary donations and support from the ‘Friends’ is vital in directly helping hundreds of churches and chapels that receive grants every year. 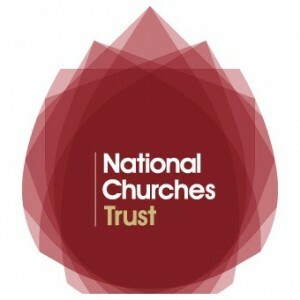 By joining the ‘Friends of the National Churches Trust’ you will would also be helping strengthen the voice of Christian congregations across the United Kingdom as well as lobbying the Government and campaign on our behalf on important issues that faith communities face locally, regionally and nationally. Membership application forms can be provided by clicking on to their web site http://www.nationalchurchestrust.org/. Please bear in mind that the National Churches Trust came to our aid when contemplating whether to join their Friends organisation.